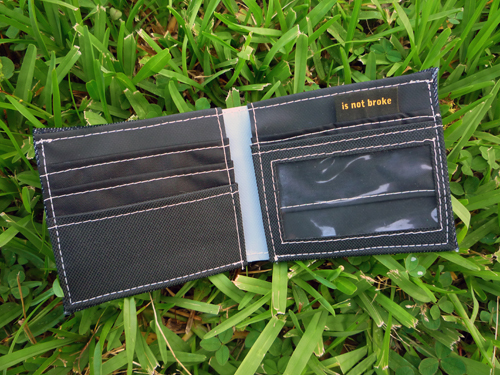 The » denim wallet by The Is Not Broke Recession Proof Wallet Co. The denim Is Not Broke wallet is for the casual spender. 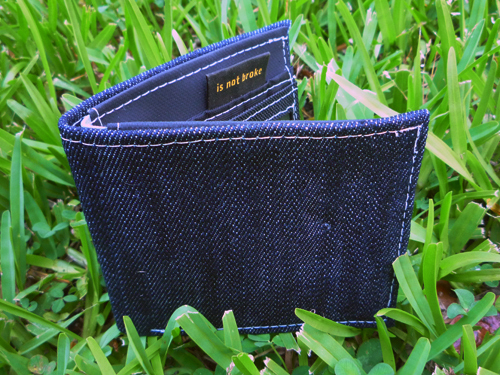 If you prefer a stroll over a walk, flip-flops over sandals, and money over no money then our denim wallet might just be the one accessory missing in your life. 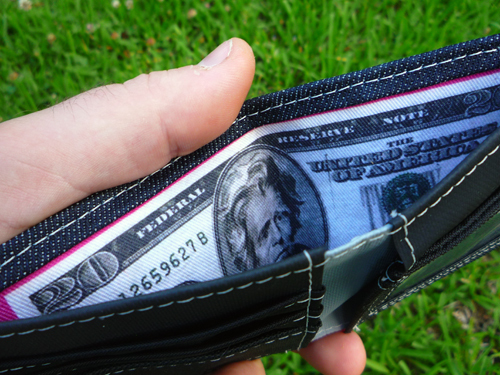 Find money in your jeans and jeans in your pocket with this extremely limited edition wallet. Each wallet is handmade in the USA with a denim exterior, 4 credit card slots, ID window slot, two hidden pockets, and twenty bucks printed in the bill slot. 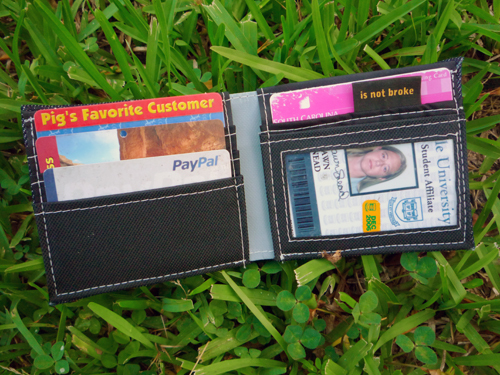 Full size of wallet is 8.5”x3.5” folded 4.25”x3.5” Interior is a mix of durable canvas, vinyl, and nylon. Limited Edition of only 100.